Illumitex designs and manufactures cutting-edge LED grow lights that are specifically tuned to meet the photosynthetic and photomorphological needs of plants. Our patented LED technology offers the most uniform light in the industry, and our precise spectrum increases yields and reduces costs. 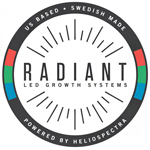 Based in San Francisco, RADIANT LED Growth Systems, Inc. manufactures lighting equipment for indoor horticulturalists. They specialize in modular grow light systems and custom light spectrums. Through patented technology the company strives to give your plants what they want – an efficient light spectrum – keeping your operation happy every step of the way. RADIANT brings credible science to the indoor horticultural sector through lamps, grow tools and a product development process centered around Beta Testing. 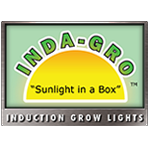 We manufacture induction grow lights. We are located in San Diego, CA. Feel free to stop in and see our products and gardens. 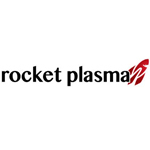 Rocket Plasma is a lighting manufacturer that is based out of California. They manufacture a full-spectrum, energy efficient plasma light that comes equipped with a reflective hood. Interestingly, the Rocket Plasma lighting system has a boosted red spectrum.